An online course was created for the purposes of engaging in-service teachers in pedagogies and technologies associated with creativity, innovation, and invention; using a variety of technologies in a safe, open, and playful atmosphere to help practicing teachers develop their own creativity; and providing tools for the development of creativity in their own students. Participants in the course engaged in the inventing process, from brainstorming, to idea generation, to rapid prototyping, to management of an innovation using appropriate educational technologies, including computer aided design (CAD) and computer aided manufacturing (CAM) tools. They also completed an online creativity self-assessment at the beginning and end of the semester. Data from this self-assessment were analyzed to measure whether the course activities increased participants’ scores for overall creativity and for eight components of creativity. The results indicated that participants did make a significant overall gain in creativity and in the component areas of Abstraction, Connection, Perspective, and Boldness. As a result of increasing their own creativity through this course, it is anticipated that participants will have the ability to successfully engage their own students in activities that promote creativity and innovation. Stansberry, S., Thompson, P. & Kymes, A. (2015). Teaching Creativity in a Master’s Level Educational Technology Course. 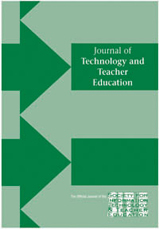 Journal of Technology and Teacher Education, 23 (3), 433-453. Waynesville, NC USA: Society for Information Technology & Teacher Education. Retrieved April 23, 2019 from https://www.learntechlib.org/primary/p/151573/.